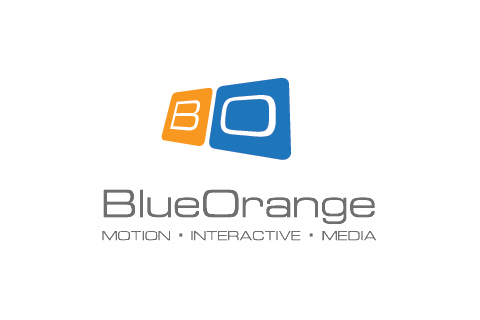 BlueOrange Motion.Interactive.Media is a Toronto-based creative agency specializing in digital marketing and advertising. For two-and-a-half years of operation, it had established itself a very client-driven process and provided complete customized fitted solutions, which stands out from many other creative houses. 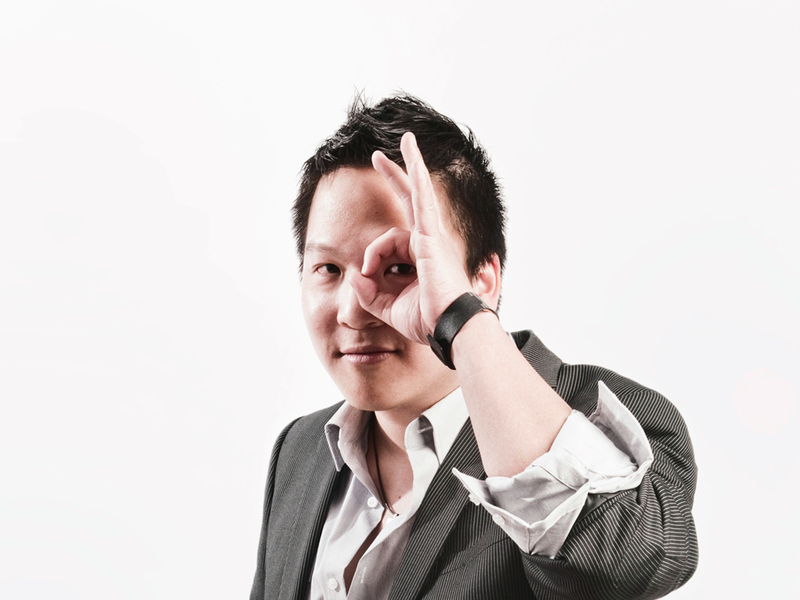 Aside from providing a client-driven process and solutions, it also invest time and resources to produce innovative and unique ideas that were applied to many internal projects and contests. 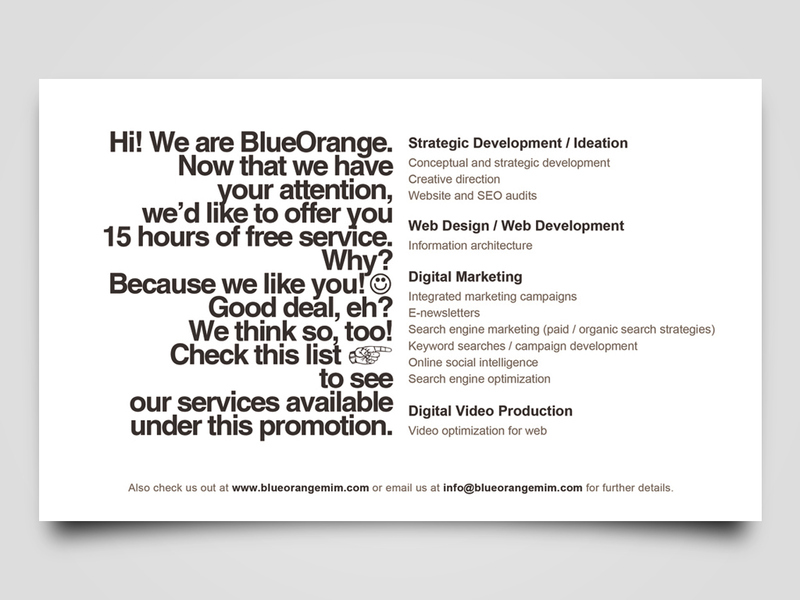 During the fast growth in a short time of two-and-a-half years, BO ( BlueOrange ) was given several opportunities to approach clients from middle to slightly larger companies. Therefore an immediate re-brand and face-lift were needed. 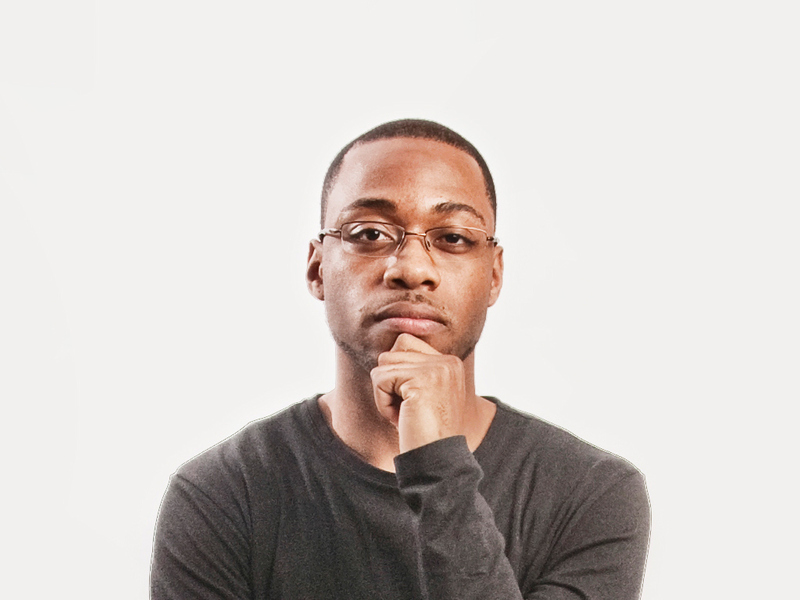 The goals are simple: Revise existing branding and identity, Rebuild the online presence to focus more on projects, and introduce and connect the team with the world to drive exposure. The goal is to create a brand new brand that identifies with the direction of the business and serves the company name. BO symbol of two colour blocks of blue and orange, combining the letter B and O, immediately took place. 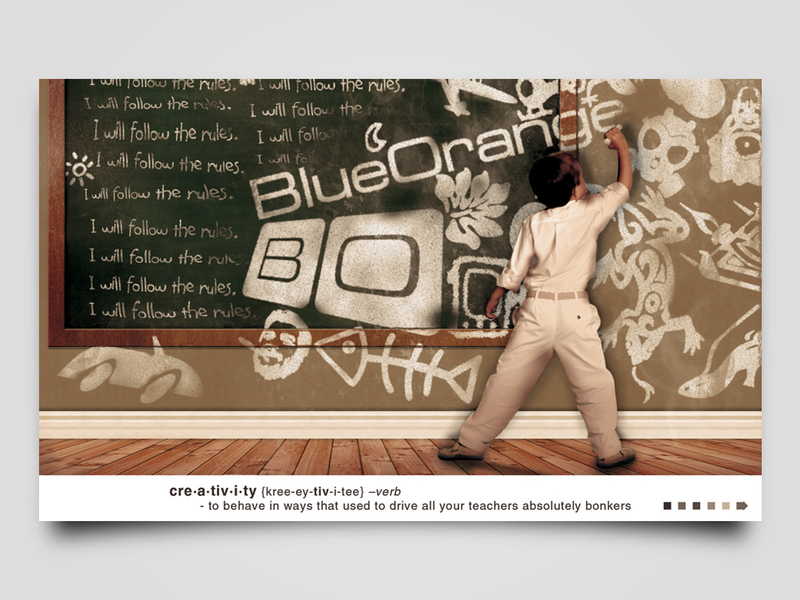 The catch is the letter B ( for Blue) actually shows in colour of orange, and letter O ( for Orange) vice versa. 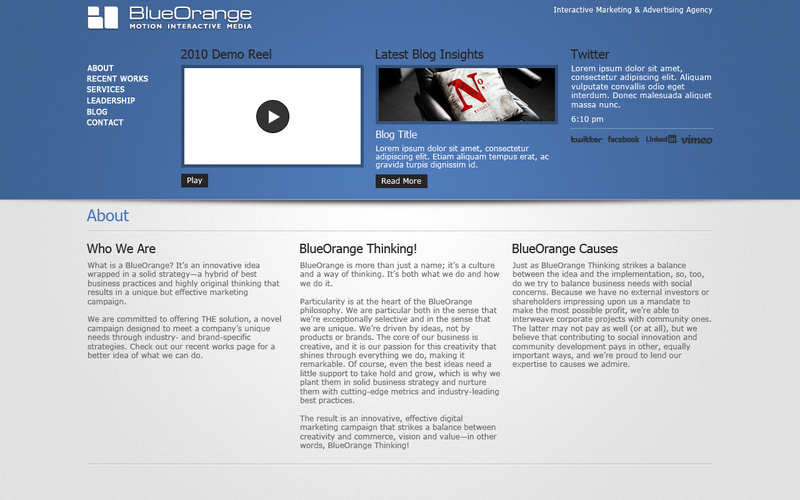 The purpose is to give a direct representation of one of the main philosophy, which is that the Blue (structure, business, corporate) always mixes with Orange ( creativity, innovation, edgy). 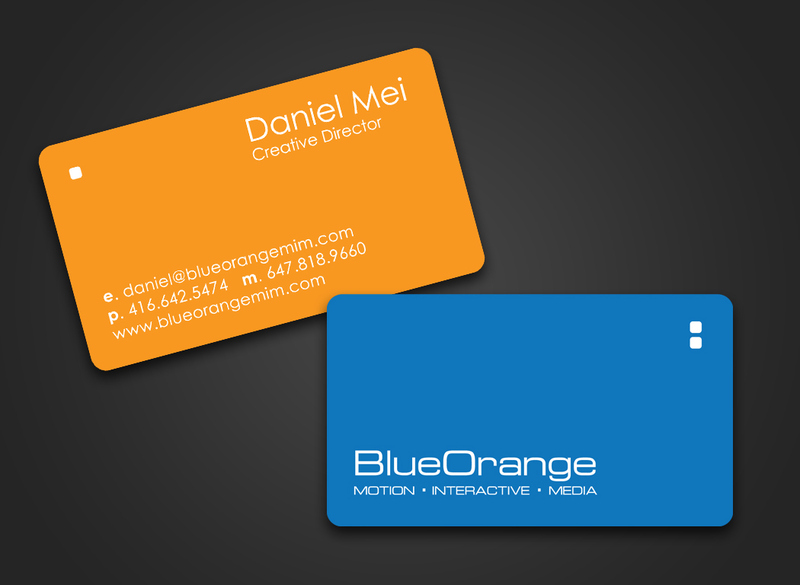 Official business card design - front and back. The small rounded-edge squares on the edge of the cards not only mimic the square colour blocks from the symbol, it also made the card itself spell out the letter of "B"and "O", which reflects the symbol itself. The direction of the new branding comes from simplifying from the colour blocks of the original symbol. This simpler form allows much more flexibilities and easier to remember. The colours from B and O also reversed back to B - Blue and O - Orange. Simple, straightforward, powerful. The first version came right when the branding was confirmed. The direction was project driven, focuses on promoting the most recent completed project. 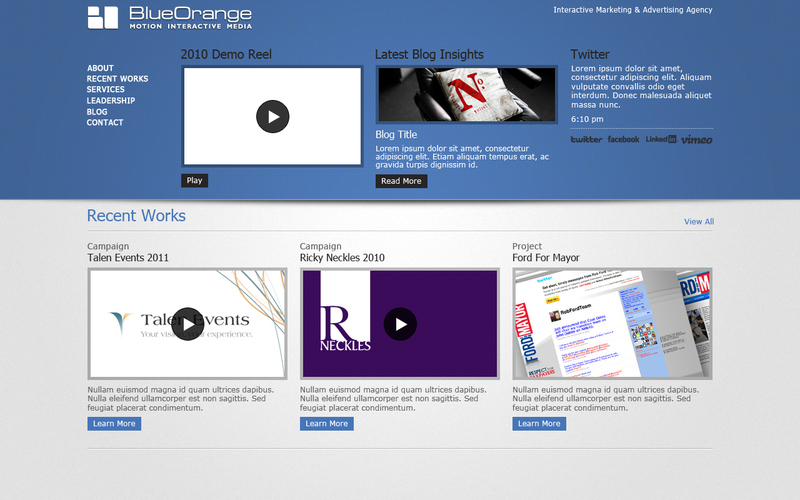 V1 Home page - Promoting most recent completed project. V1 Who We Are page - Featuring the team and the three directors, each with their own story. 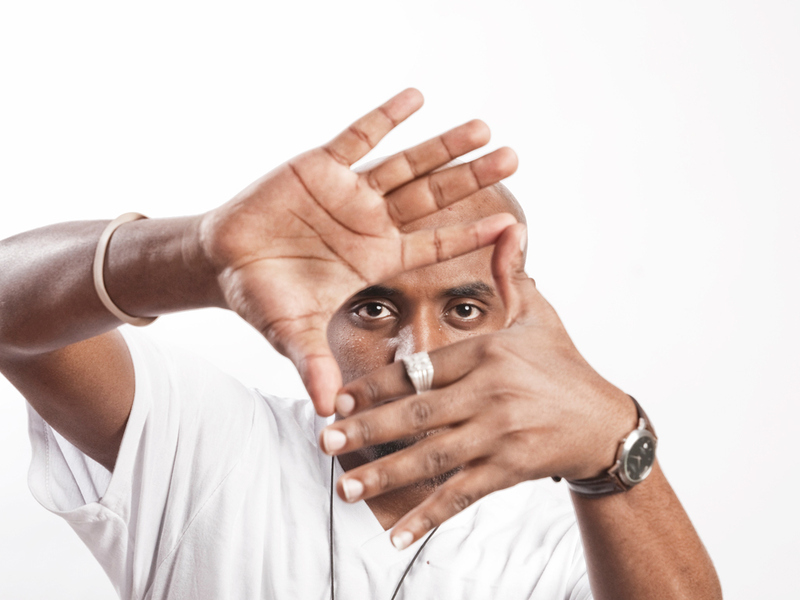 Photography direction focuses on simple portraits with rooms to allow each one of us to find a pose that best describe the roles corporately and personally. Photography credit to Alyssa Faora. Developed from the direction of version one, instead of promoting the latest completed project, it was taking the turn to more info-driven and allows easier connection to the company, and still allows new projects to be featured. 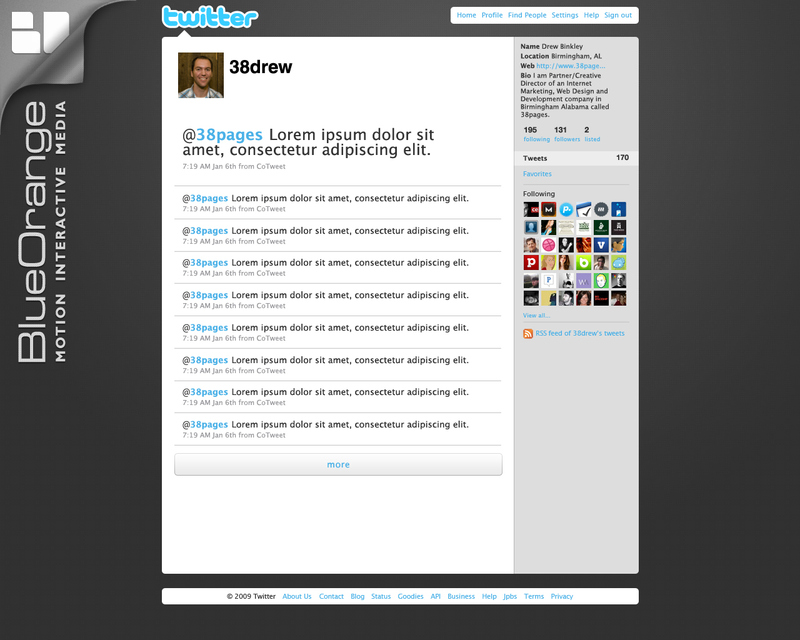 The home page being a one-page info-hub is flexible to satisfy both computer and mobile pad users. V2 Home / Recent Works page. 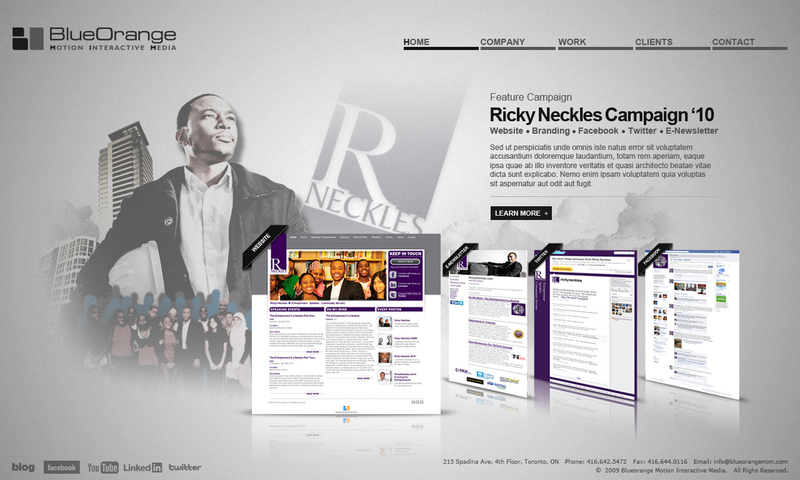 V2 Home / Leadership page. V2 Home / About page. 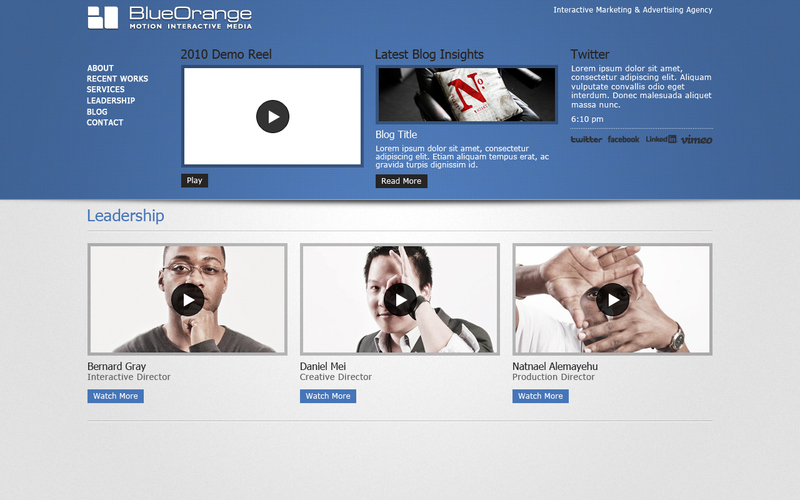 The demo reel is to showcase the projects BO had done up to year of 2011, which were to be published on the official site ( V2) and other social media means. 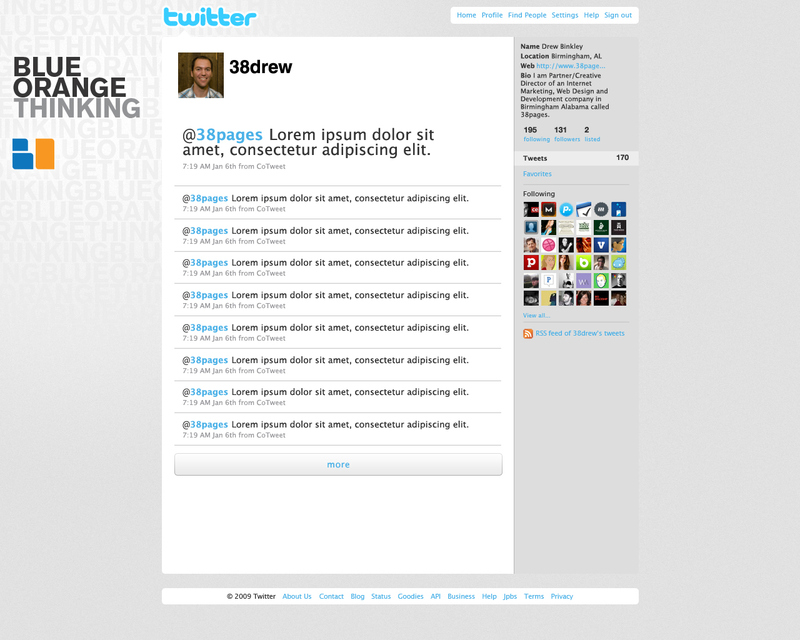 Two versions of twitter backgrounds that coincide with the new branding and V2 site design. Twitter Background - Dark version (with template content). Twitter Background - Brighter version (with template content).